It seems like just about every kid goes through a detective phase. If your child loves Sherlock Holmes, plays spy games, and enjoys a good mystery, you can encourage that interest with books, TV shows, and even video games. There are hundreds of games out there designed for kids who want to be the next Sherlock Holmes. Here are seven great mystery video games for kids to play. 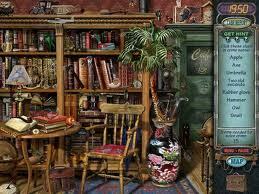 The Mystery Case Files games allow players to solve mysteries through a series of hidden-object puzzles that take them through the story of each case. With more than ten versions of Mystery Case Files, there are plenty of mysteries for your young detective to solve. In the Awakening games, you find yourself in a mysterious castle, and through puzzles you can make your escape and go on other quests in the fantasy world you have found yourself in. This series of games, four in all, is perfect for any kid who loves stories that include trolls and goblins, fairies, and magic. Another great fantasy game that’s full of mystery, the Echoes of the Past games take kids through incredible stories in which they rescue a castle, put an end to a curse, or defeat an evil witch. The games feel like a fairy tale and Lord of the Rings all rolled into one, and keep players engaged through puzzles and storytelling. The Haunted Hotel games are perfect for kids whose favorite part of camping is telling ghost stories around the campfire. Players have to complete puzzles and find objects in order to escape the rooms of a haunted hotel. If your child likes to learn about new places, travel, and see new sights, these games are perfect. The Big City games take players on a vacation to places like London and Australia, and let them explore their destination through puzzles. When you can’t travel there, playing a game can be the next best thing. The Murder, She Wrote books and TV series are classic mysteries that have influenced the entire genre. Now kids can play through five of the most famous cases from Murder, She Wrote in the online game where they become the professional detective. These two are classics. Tried and true and loved by all, it’s hard to beat an I Spy or Where’s Waldo book. Now, kids can find hidden objects in the online versions of these games, explore the pages from the books, and even enjoy new versions that are available only online. All these games and many more are available to play free online, but before you let your kid loose on the Internet, you probably want to set some guidelines, especially for younger ones who are just being introduced to computer games. Choose a few websites you are familiar with and have them stick to those to start. If you need to, you can set time limits and monitor your child. Just make the rules clear from the start and explain that the rules are there to keep them safe online. All in all, free game sites are a great place for kids to play and are perfectly safe. There are also countless benefits to letting your child play video games. They have been shown to improve motor skills, reaction time, decision making and social skills, and improve confidence and motivation in young and old gamers alike. Not only can games be a great cure for boredom, but they can make the player a better person.